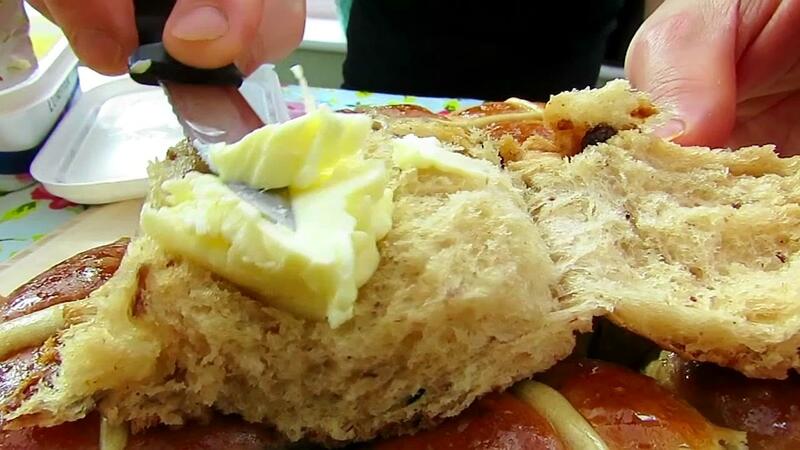 Today I'm going to share one of my secret recipe of making super soft, fluffy and moist hot cross buns. Since I had lots of work done for these dough, hand kneading, shaping and scoring the dough and bring to my husband's freshly baked that always put a smile on his face at breakfast and afternoon tea. A hot cross bun is a sweet buns made with spices and cinnamon, raisins, marked with a cross on the top, and traditionally eaten on Good Friday and Easter. 1) First, Soak raisins in hot water for at least 15 minutes and drain, then adding honey and mix well. 2) Add the dough ingredients (B) and 1/4 cup honey raisins to a re-sealed plastic bag. Pulls away from the side of the bag. Proofing the sticky and lumpy dough, cold-rise overnight in the fridge. 3) Transfer the dough to a bread maker. Place butter. Select ''leaven dough''. Setting and press ''start'', kneading until the dough is smooth, then select ''ferment'' until the machine beeping noise, about 30 minutes. 4) Dust the flour over the work surface. Divide the dough into 16 pieces, about 48g each. Combine the remaining raisins (A) to the dough as a fillings, turn over shape your dough into a round balls and place them on a prepared tray. 5) Put a cup of hot water to have a nice balance, warm and moist environment in the oven and let it rise again for a further 1 hour. Ideal rise temperatures are between 35°C. If it's a winter day, the common problem is that dough won't rise. Using a warm oven by turn your oven on and off or with boiled water on the underneath to help your dough rise perfectly. Remember take water out of the oven. Preheat the oven to 150°C. Bake for 25 minutes. Everyone's oven is different, you have to adjusting the temperature and baking time. 6) See (E) Brush after middle baking and brush again after baking. 7) For the cross. 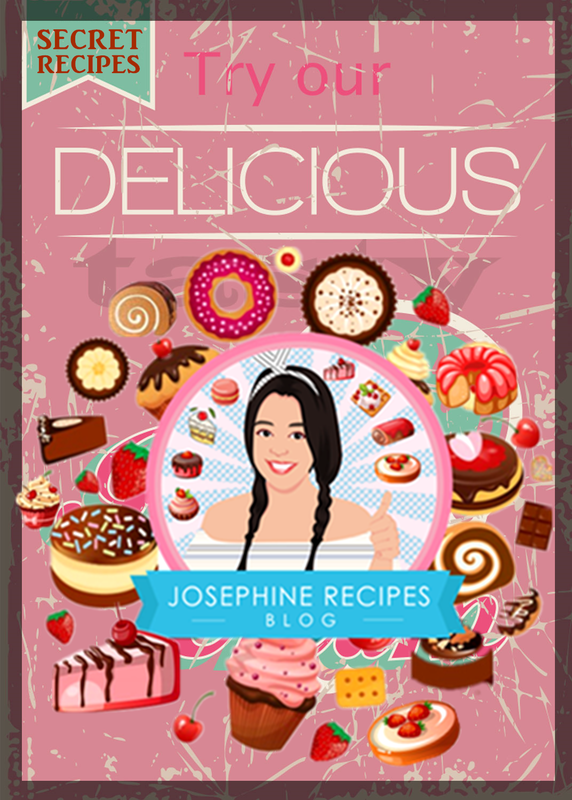 Combine plain flour with sugar and water into a bowl and stir until thick paste. Spoon the mix into a piping bag and cut a small hole. Using the mix in piping bag, make a cross in the centre of each bun after middle baking. 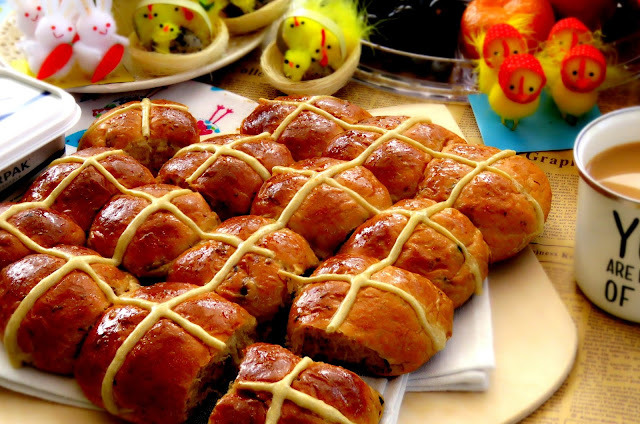 8) Remove from the oven, Cool the hot cross buns on a wire rack. Serve warm and best with butter. 1) Wrap the bread in a re-sealed bag and locked it and stored in the freezer for up to 1 month. 2) Keep the bread fresh and moist for 2 days. put them in a food plastic bag and locked it or store it in an airtight container and reheat and serve. (heat it up and it will taste freshly baked again). 3) If you don't own a bread maker, it can be made by hand until the dough smooth and rise in the warm place for 1 hour.